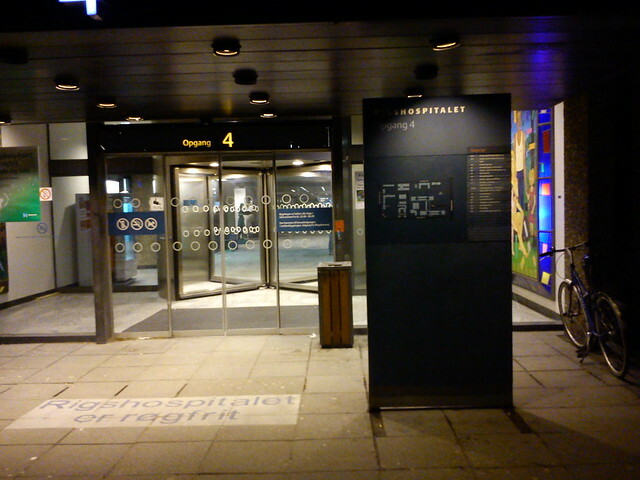 I have spent the night at Rigshospitalet, following a midwife. It was an unbelievable and beautiful experience, in many ways. Ups and downs (but mostly ups). I haven't yet realized the experience I have been present at. I hope it will come to me in a couple of days. Right now all I can do is marvel at the female body's capabilities, and send all good thoughts to the newly parents. av, hvor spændende og meget unikt indblik. Meget spændende og unikt, og bestemt ikke sidste gang hvis det står til mig.